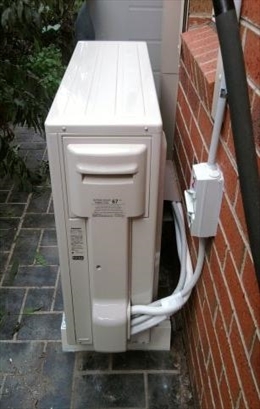 These days it is not rare to spot mini-split air conditioners in homes as well as commercial properties. These are quite smart unit with an aesthetic appeal too. The best part of these units is that you do not need any duct work for them. They are suitable as retrofit add on to houses. Many houses have boiler system or space heating stems for heating in winter. As a result of hydronic heating, they do not have duct work to circulate cool air for cooling. The ductless mini -split is perfect in such situations; there is in no need of installing new duct work. This saves money as well as hassle. In houses where you want to add an A/c in a small room, but extending duct is not possible, ductless minis are custom-tailored to meet the demand. A mini-split has two components - an outdoor compressor/condenser, and an indoor air-handling unit. A conduit passes through a three-inch hole connecting the indoor unit with the outdoor one. It encases the power cable, refrigerant tubing, suction tubing, and a condensate drain. Why should you opt for mini ductless splits? •	Multi-zone units have a couple of indoor unit connected to an external condenser unit. Thus it can amount to a central air conditioner as well. •	Each of the zones will have its own thermostat. Only crank up the thermostat of that rooms that are occupied, saving energy and money. •	They are easier to install unlike central air conditioners. All you need is a three inch hole for the conduit to pass. The indoor and outdoor units can be placed and mounted at suitable positions. •	Besides their aesthetic appeal they also offer certain flexibility in placing them. 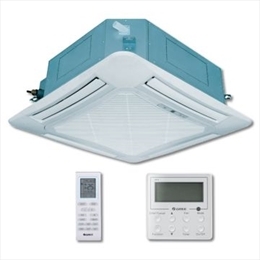 The indoor air handlers can be suspended from a ceiling or mounted and hung on a wall. Standalone unit on floors are also available. •	Most indoor units come with sleek jackets that add to the decor of the house. •	You also get remote control with these unit to stop and operate it from anywhere in the room. •	As you only make small hole in the wall to install it, it keeps your house safer from intruders. •	These are quite costly compared to central units. They cost almost $1,500 to $2,000 for per ton of cooling capacity. They cost 30% higher than central units. They cost almost twice the price of window units. •	You need an expert installer who will be able to size each indoor unit according to cooling needs and find out a strategic location for placing it in the rooms. •	You should not buy an oversized as it causes short cycling. You will not get good cooling levels and humidity will go high. Moreover the price will shoot up with size. •	They lack the built-in look of a central system. •	You have to arrange for condensate drain near the outdoor unit.